I have been venturing into the world of raw with my dog these past few months. 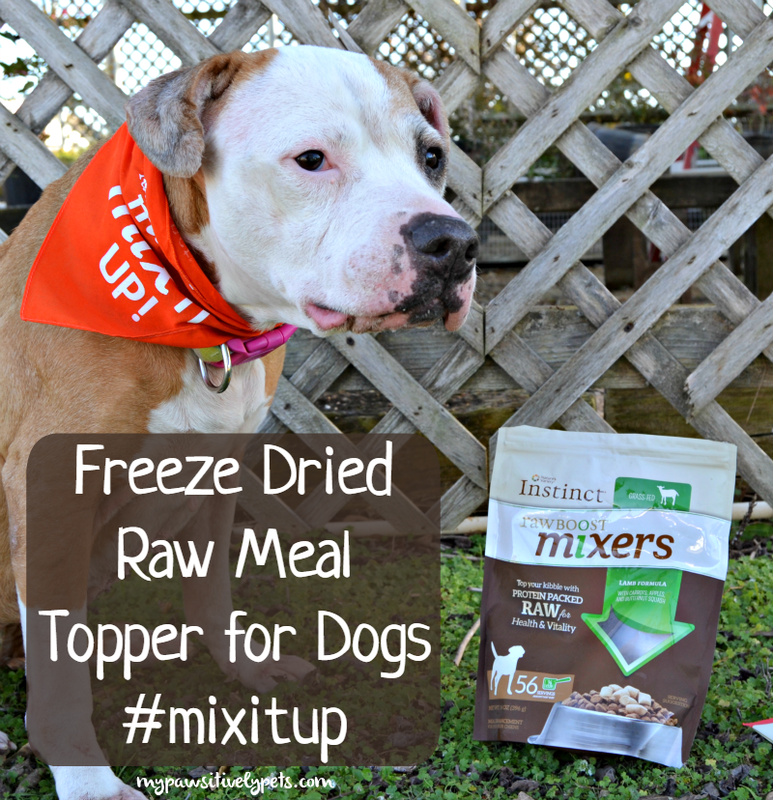 While not ready to make a complete transition to a freezer full of raw meat and organs, it's been nice to add some freeze dried raw to Shiner's meals in the form of a meal topper. A few weeks ago, I made a trip to PetSmart to pick up some Nature's Variety Instinct® Raw Boost® Mixers which are freeze dried raw meal toppers for dogs. You can read more about our shopping trip here. These raw meal toppers come in four flavors - Turkey, Chicken, Beef, and Lamb. Shiner likes lamb, so that's what I've been topping her meals with. Although we did try some Chicken and Beef as well. 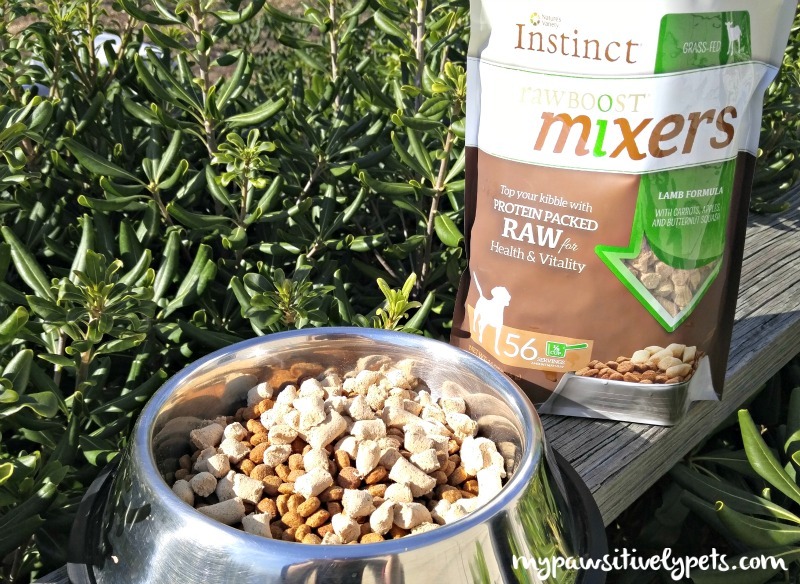 Instinct Raw Boost Mixers make it easy for me to add some protein-packed raw into Shiner's kibble. It's an all natural, convenient way to enhance her diet with some raw. Pure animal protein for lean muscles and strong bones. Natural ingredients for optimal nutrient absorption. 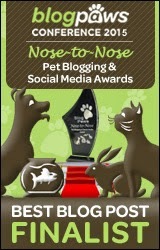 Nutritious oils for healthy skin and coat. 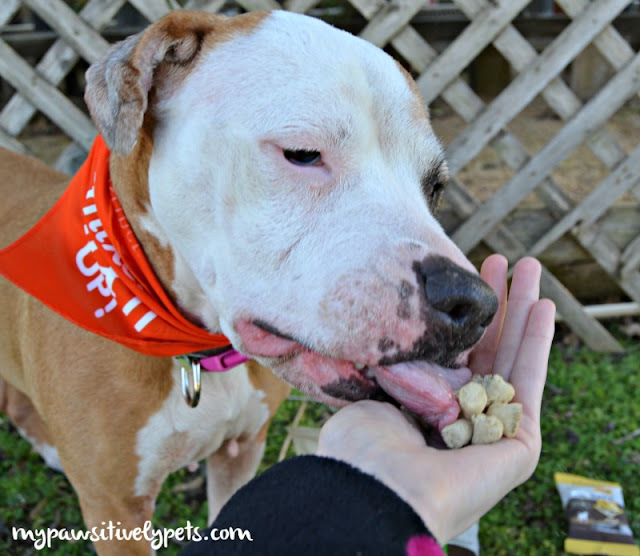 Depending on how much you feed and for how long, it's possible for your dog to experience some amazing benefits from feeding raw such as proper digestion, healthy skin, soft coat, energy, and vitality. Instinct Raw Boost Mixers are easy to store. There's no need for them to be refrigerated or kept in the freezer. That's a big plus for me because I have no freezer space. I can just store these on the shelf or in the pantry. Shiner is very interested in the Nature's Variety Instinct Raw Boost Mixers every time she sees me open the bag. I add it to all of her dry food meals and the freeze dried raw pieces are what she eats first. She loves it! There are instructions on the bag for how much you should add to your dog's regular food. I add about a 1/4 cup to Shiner's food as a raw meal topper. I also like to use the pieces of freeze dried raw meat as training treats for Shiner. They are the perfect size for that. And because she loves the way they taste, she's more interested in doing her tricks for me. She gives them 4 paws up! I'm loving the fact that these are easy to find too. Instinct Raw Boost Mixers can be found at PetSmart, and for a limited time they are on sale. They have trial size bags that are 3 for $5, which are perfect for seeing which flavor your dog likes best. The larger 4 oz bags are on sale for 20% OFF too. Instinct Raw Boost Mixers Trial Size bag. 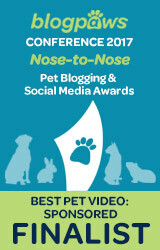 Next time you are at PetSmart, look for these! And stay up to date with Instinct on Facebook. 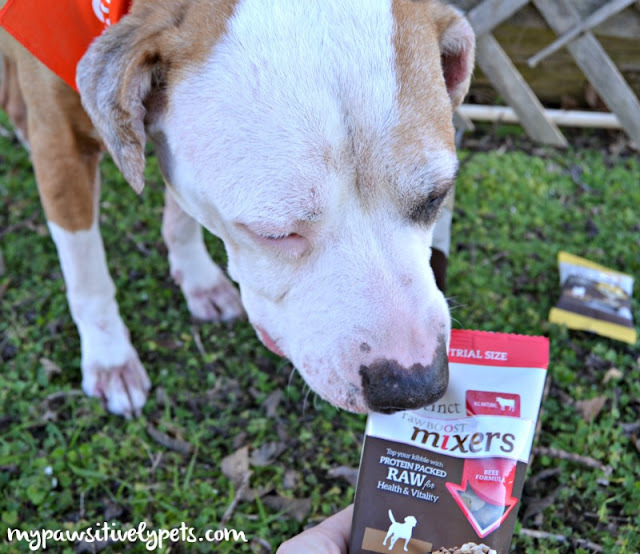 Has your dog tried Nature's Variety Instinct Raw Boost Mixers before? What's their favorite flavor? Been reading a lot about this food lately. Happy to hear Shiner is enjoying it. We love them all! Good and healthy stuff! Awwww, Shiner! Love the tongue pic. N.A.S.H.A. loves these, too, and I love the fact that it's so easy. We've tried the cat version of these are really like them. The mom crumbles them on our wet food. We've only tried the lamb so far, but the dogs love it. I just ordered some turkey, so we'll see how that goes (I'm guessing they'll love that too)! 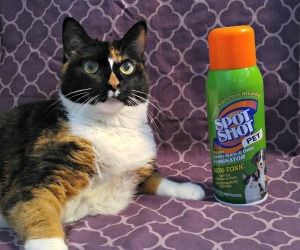 We don't have a PetSmart around here but I need to check the other supply store to see if they carry it. We tried da rabbit fur kitties and luvved 'em. Glad they went over well wiff you. Have a gweat day.